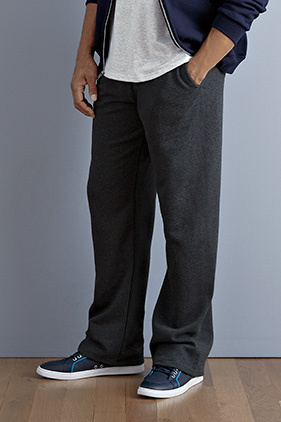 50% cotton/50% polyester NuBlend® pre-shrunk 8 ounce pill-resistant open bottom pocketed fleece sweatpants. Covered elastic waistband with inside drawstring. Jersey lined pockets set in front for smooth fit.